Neck Skin Care. Why is it worth taking care of? It is said that you can tell a woman’s age by looking at her neck and it is true. Usually, you can look at the woman’s hands and neck and you know how old she really is. It is because the skin on these parts is extremely thin and undergoes aging processes much more quickly. How can you take care of your neck skin so that it does not reveal your age? Wrinkles on the neck may appear even in young people. They occur because of aging of the organism. They appear on the dry skin much quicker than on the oily skin. There are numerous factors which can speed up aging of the delicate skin on the neck. The most important ones are: smoking cigarettes, drinking alcohol, stress, lack of sleep, bad weather conditions and even improper sleeping position. We provide face skin with intensive care but neck skin care is also extremely important. We can help ourselves to nullify the effects of aging. If we neglect neck and neckline, we expose them to look even more visible. Most of all, the first step should be cleansing the skin. If we use a micellar water and toner normalizing pH for face skin care, we should also take care of the neck. A few drops of the product are enough to remove impurities from the area below the jawline as well. You can clean your neck with water and delicate soap or face gel – firstly wet your skin with warm water. At the end, rinse it with cold stream to close the pores. The next step is moisturizing the skin. Neck skin care should be similar to face skin care. It is best to apply a cream to the neck skin every evening, preferably not the one that you apply to your face. Neck skin dislikes greasy and heavy creams because they are not absorbed well. The most suitable for the neck are active moisturizers which contain natural plant extracts. Interestingly, you can prepare a compress or mask for your neck as well. This kind of nourishing of the skin, which loses precious active ingredients evey day, is important. If the prepared mask has thick consistency, you can apply it to the neck without a problem. If you use more watery conditioning products, wet a gauze bandage and wrap it gently around your neck. Leave it for more or less 20-30 minutes. What else can help? Also, neck exercises pay off. Sleeping on unsuitable pillows may promote wrinkles therefore you should get yourself a flat pillow. You can also exercise your neck – do simple head moves every day which tighten the muscles and the skin. Exercises are the crucial element of the neck skin care. 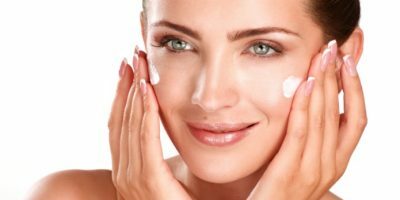 How to get rid of skin discolouration for good? How to master the no-makeup look? Basic Skin Types. Do you know yours? Beautiful Woman – Simple beautiful Copyright © 2019.